Are you a fan of radar detectors? 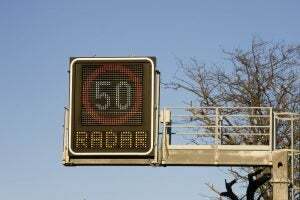 These handy devices have been around for as long as radar speed guns and have served as a useful way to avoid getting a speeding ticket. While commercial available and very accessible, you shouldn't just purchase a radar detector and start using it. If you want to start using radar detectors, you may need to get up to date on new radar detector laws in the US. Some states are moving to completely ban these devices, while others are much more lenient. We put together a guide on how to use radar detectors safely and legally in the United States. Check out this handy guide to understanding radar detector laws below! A radar detector is an electronic device used by many drivers to see if local law enforcement is using a radar gun nearby to detect their speed. 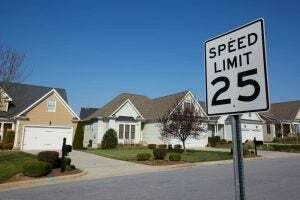 Essentially, radar detectors notify the driver to slow down before reaching the law enforcement officer with the radar gun to avoid getting a ticket. Radar detectors are available for purchase all over the internet in varying qualities and prices. There is a big difference between radar detectors and radar/laser jammers (especially when it comes to legalities) and we will cover those differences later. Are Radar Detector Laws Illegal? It's pretty obvious why law enforcement would want to eradicate radar detectors through passing radar detector laws. With radar detectors, ticketing speeding vehicles become much more difficult. Radar detectors are illegal on US military bases. You won't be ticketed or arrested for using one, but you will be asked to remove the device until you leave the military base. 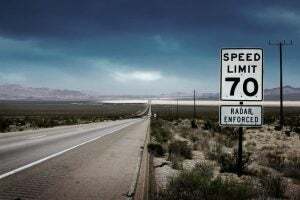 Federally, any commercial vehicle over 8,000 pounds is prohibited from using a radar detector-- no matter what make or model you drive in any state. However, in many states, using a radar detector is completely legal. In others, laws are significantly stricter. If you're thinking about purchasing a radar detector, live outside of a military base, and drive a car under 10,000 pounds, then it may be helpful to look into radar detector laws that are in place in your state. You might be surprised by what you find. That's a good question. Despite the fact that radar detectors are legal across many states, the use of one of these devices can come off as unethical. Why else would you use a radar detector if not to be able to speed as much as you like? This doesn't always have to be the case. Quotas have to be met and more often than not, many people receive speeding tickets upwards of $300 or more for going little more than five miles over the speed limit. 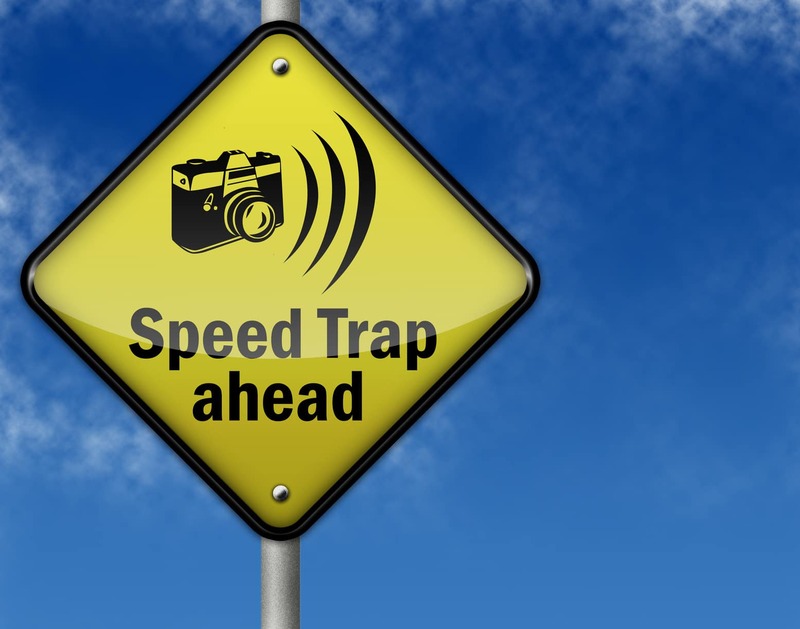 Many think that these types of speeding tickets themselves are unethical. Using a radar detector can help already safe drivers slow down enough to avoid any kind of bogus speeding ticket a law enforcement office could try to pin on them. Rather than be used to break the law, radar detectors can be used to protect law-abiding citizens from unethical punishments. Are Jammer And Laser Devices Legal? A laser or radar jammer is very different from a radar detector. A laser jammer is used to prevent police from obtaining a speed reading by "jamming" the laser gun used. A radar jammer is a device that creates radio signals that interfere with radar detection devices. Under federal law, radar and laser jammers are illegal. Being caught with one could lead to a felony, a huge fine, and possible jail time. The government has been cracking down more on catching citizens with jammers, too. Enforcement Bureau Chief P. Michele Ellison had this to say several years ago on the subject: "Jamming devices create serious safety risks. In the coming weeks and months, we'll be intensifying our efforts through partnerships with law enforcement agencies to crack down on those who continue to violate the law. Through education, outreach, and aggressive enforcement, we're tackling this problem head on." This guide can help you get an idea of what different radar detector laws are in different US states. In the state of California, radar detectors are legal. However, there is a catch-- they cannot be sitting or mounted on the inside of the car's windshield. This isn't specifically because of the radar detectors themselves. In California, it is illegal to have any objects on the windshield do to driver vision concerns. You can definitely get a ticket if your radar detector is there. In the state of Illinois, radar detectors are legal. Only private vehicles are allowed to use them, though. If you're caught with a radar detector in a commercial vehicle, you'll be at risk for ticketing and possible confiscation. Confiscation is usually rare. Like California, radar detectors are legal. They just cannot be mounted on or near the windshield due to visual obstruction of the driver. If you do mount your radar detector on your windshield, you'll be at risk for a ticket but not much else. Like Illinois, New Jersey allows private vehicles to mount and use radar detectors. Commercial vehicles are prohibited and illegally using a radar detector will result in a ticket and possible (although rare) confiscation. Radar detectors are legal for private vehicles, but not for commercial vehicles. Repercussions include ticketing and possible confiscation. Radar detectors are completely prohibited in the state of Virgina, no matter what weight car you operate. They are also illegal to sell in Virgina under radar detector laws. 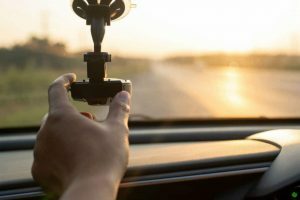 Getting caught in Virgina with a radar detector can result in a ticket (regardless of whether or not you were speeding at the time) and your radar detector will likely be confiscated. Radar detectors are legal in the rest of the US states with no restrictions on private or commercial cars. Federal law applies. How was our guide to knowing the in's and out's of radar detector laws? Tell us what you think in the comments below.